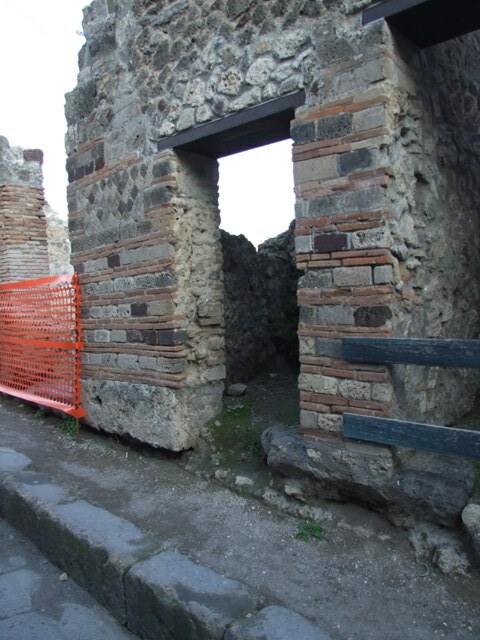 VII.2.28 Pompeii. 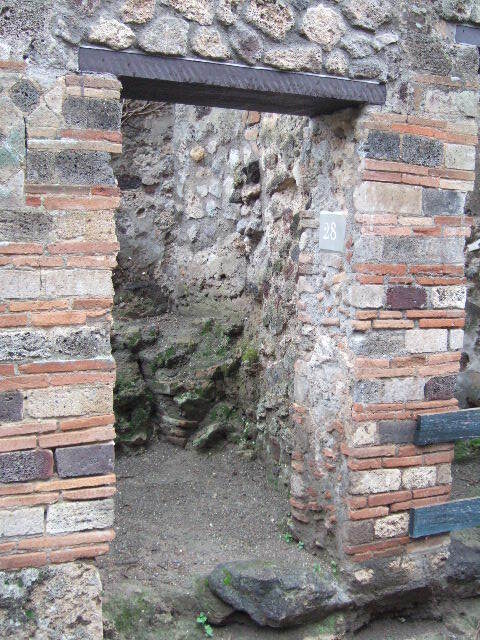 Cella meretricia or public latrine. Excavated 1844, 1848 and 1862. 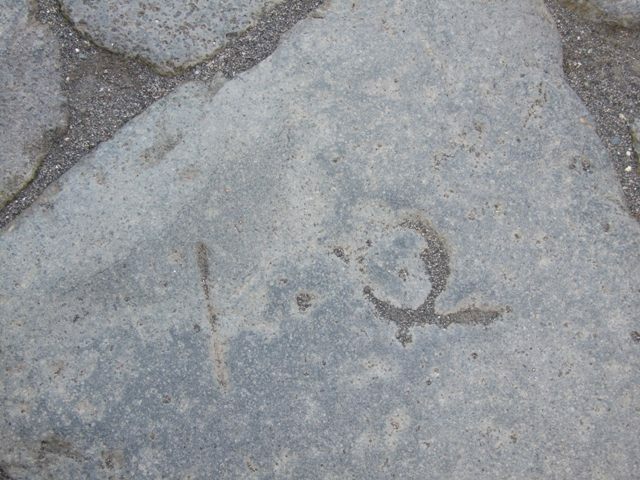 Inscription K.Q. is in the road outside. VII.2.28 Pompeii. May 2010. Entrance doorway. 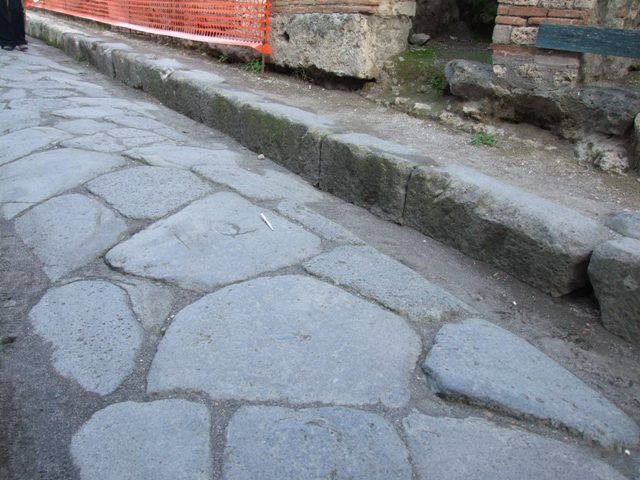 According to Eschebach this doorway led to a “cella meretricia”. 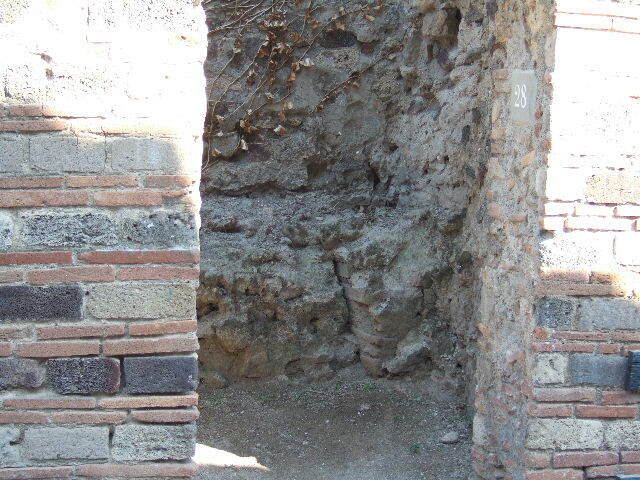 According to PPM, this doorway led to a public latrine. 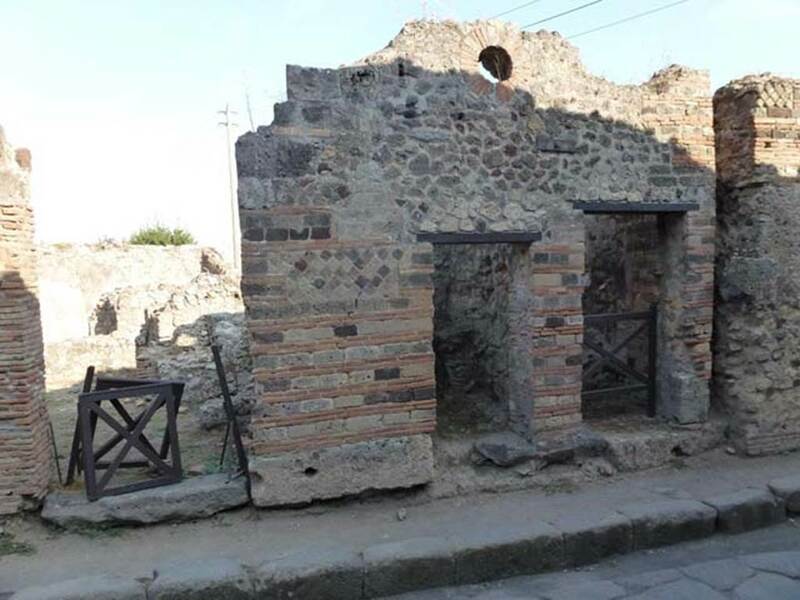 VII.2.28 Pompeii. May 2010. 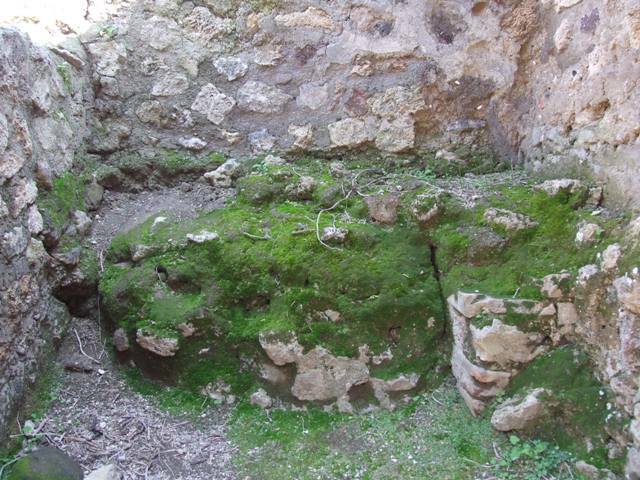 Remains of masonry bed. 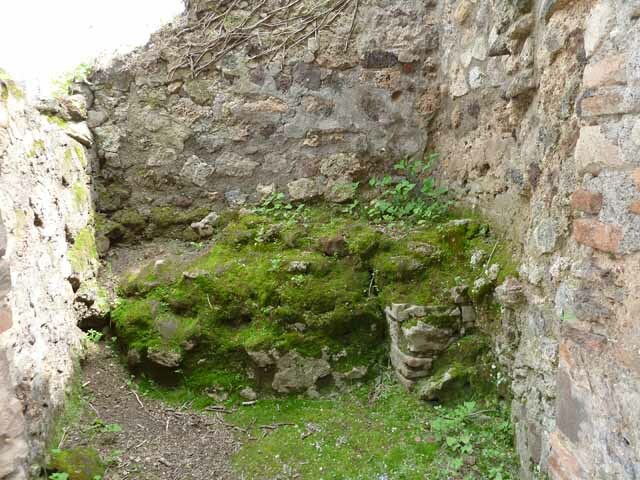 VII.2.28 Pompeii. March 2009. Entrance. VII.2.28 Pompeii. March 2009. Stone bed. VII.2.28 Pompeii. December 2007. Entrance. 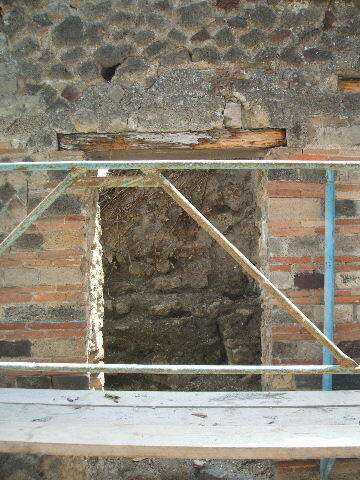 VII.2.28 Pompeii. December 2005. Entrance. VII.2.28 Pompeii. September 2005. Entrance. VII.2.28 and VII.2.29. September 2005. 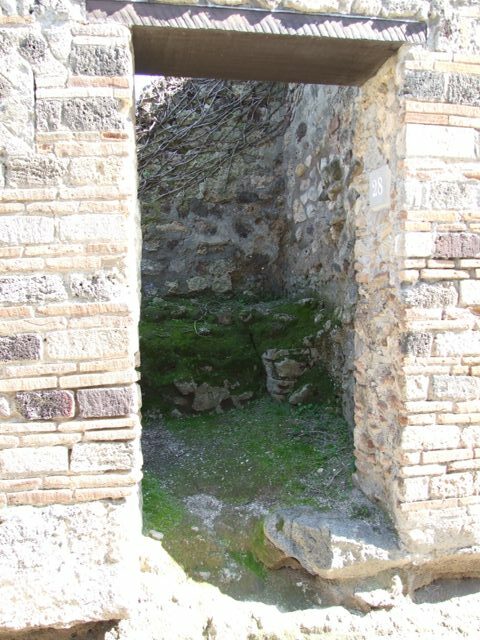 Entrances, with circular window for the upper floor. 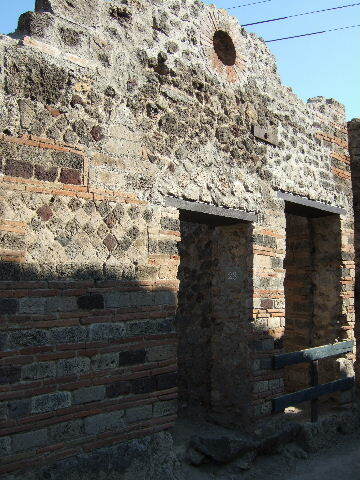 VII.2.28 Pompeii. May 2005. Entrance. Inscription K.Q. in Vicolo Storto outside VII.2.28. White biro pen indicates position and size. December 2007. Inscription K.Q. in Vicolo Storto outside VII.2.28. December 2007. December 2007. Inscription K.Q. in Vicolo Storto outside VII.2.28. K.Q is Kalendis Quintilibus (July 1st). 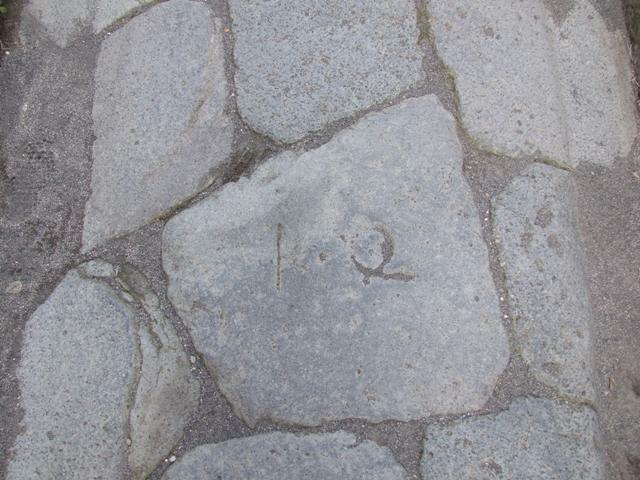 According to Mau this apparently relates to the laying of pavement and must go back before 44BC when the month QUINCTILUS was changed to IULIUS, our July. 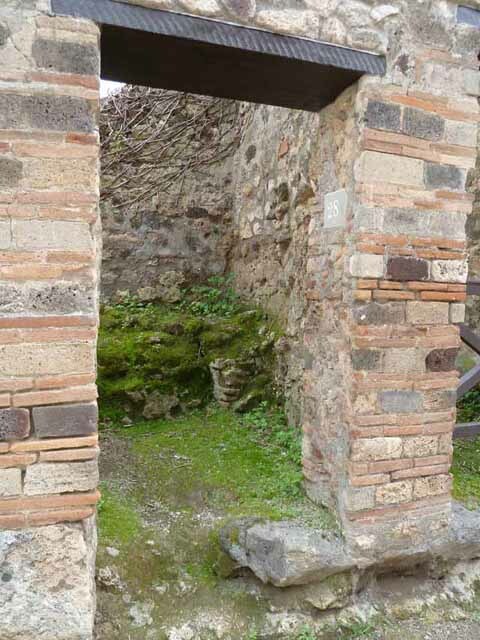 Pompeii was therefore paved before 44BC. See Mau, A., 1907, translated by Kelsey F. W. Pompeii: Its Life and Art. New York: Macmillan. (p.228).